In a way, using green screen technology is like being given the key to a huge candy store. 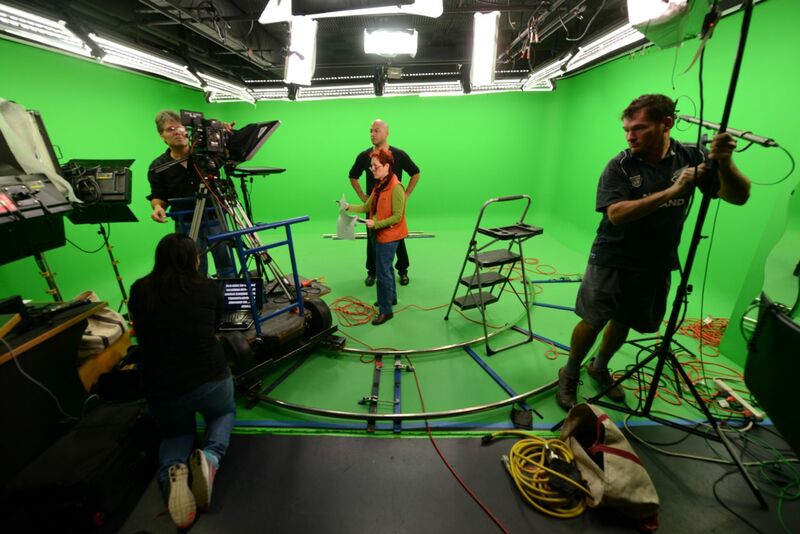 While you and your crew are safely ensconced in a video studio, you can project literally anything up onto the screen, either as a static background or as live footage to be interacted with by your actors or “talking heads.” The trouble is, you may need permission to use certain green screen footage—and if you don't obtain it, you can wind up in serious legal trouble. Who wouldn't want to dress up in a toga and deliver an impassioned spiel about a product while the chariot race from “Ben-Hur” transpires in the background on a green screen? After all, it's easy enough to obtain the footage—all you have to do is rent or download the video and burn the scene onto your computer's hard drive. You can probably even download a high-definition clip from YouTube! The trouble is that “Ben-Hur,” as ancient a blockbuster as it is, is still the intellectual property of Metro-Goldwyn-Mayer or, more to the point, whoever owns MGM's film library today. Sure, you may be able to use the clip in your YouTube video and fly under the radar for a time. But, eventually, a copyright lawyer will catch up with you and demand not only that you remove the clip, but that you pay back damages for your unauthorized use of MGM property. How do you know whether or not you need to obtain permission for a specific video clip? Well, many times, you don't. But, if you at least show due diligence in obtaining clearance from the owner, that might go a long way if you are later challenged. Don't Use Just Any Green Screen Clip. Let Gearshift Help! At Gearshift, we know that green screen technology is only as good as the clip you choose to project on it. Are you uncertain whether or not your background footage is owned by another party or if you need to obtain permission for its use? Contact our Green Screen Studio experts today at 703-962-1270 to find out what we can do for you!